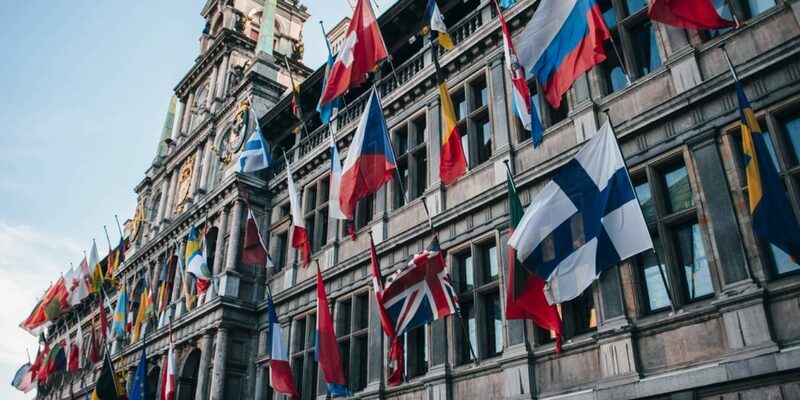 Since the end of World War II, multilateral institutions have helped countries around the world avoid catastrophic wars and achieve unprecedented levels of economic growth. But with resentment against the very idea of international cooperation on the rise, multilateralism must address the needs of those who have missed out on its benefits. PARIS – International cooperation is under strain. The voices of protectionism and nationalism are gaining strength, and governments are increasingly pursuing policy goals through unilateral or ad hocmeasures, rather than by working together. Even against this backdrop, it remains abundantly clear that effective international cooperation improves economic outcomes and everyday lives. The automatic exchange of financial information based on the OECD’s Common Reporting Standard has allowed governments to collect close to €85 billion ($99 billion) in additional tax revenue worldwide; this money can help fund better social policies. Under the OECD Anti-Bribery Convention, business bribes are now a criminal offense in 43 countries. And thanks to the OECD’s Program for International Student Assessment, more than 70 countries are making better-informed decisions about education policies for their children. These are just a sample of the benefits that multilateral institutions deliver for modern societies. But the value of multilateralism itself transcends any particular program or policy. The international system and its institutions were created as a bulwark against war. After helping Europe recover from the ruins of World War II, multilateralism gave countries a common purpose: to improve their citizens’ wellbeing and quality of life. Beyond any economic metric, we should measure the success of multilateralism in wars not fought and lives not lost. Yet ever more people are losing confidence that international cooperation can solve today’s problems. While deepening interconnections among the world’s economies have fueled growth, lifted millions out of poverty, and raised living standards, the benefits have not been sufficiently shared. If multilateralism is not delivering all that we want, the solution is not to give up on it. Rather, we must make it deliver results for the modern day. Given the magnitude of the world’s challenges, no country will get far going it alone – or even bilaterally. It is only in multilateral settings that we will find solutions for today’s complex challenges. Multilateral cooperation provides venues to resolve differences peacefully; platforms to agree on common rules of the game; mechanisms to better manage international flows; and channels for exchanging ideas, experiences, and practices so that countries learn from each other. Global cooperation and integration have been critical to the impressive expansion of wellbeing and opportunities that we have witnessed over the past 70 years. This week, ministers from OECD countries will convene in Paris under the chairmanship of French President Emmanuel Macron. They will gather in the belief that international cooperation is more crucial than ever, but that it must better address people’s frustrations and expectations, and help them realize their highest hopes. We know what must be done. We must ensure that the intelligent regulation of markets both anticipates the disruptive effects of new digital technologies and harnesses the opportunities they offer. We must update – not abandon – the rules of global trade and investment to spread their benefits more widely. We must find new ways to combat inequality and protect the most vulnerable. And we must provide our children not just with a quality education, but also the skills they need to thrive and a clean planet on which to live. Countries can learn from one another how to achieve inclusive growth when addressing issues like unemployment, falling wages, housing, and health care. But without cooperation to counter global challenges like corruption, illicit financial flows, cybersecurity threats, unfair competition, pollution, and climate change, solutions to such domestic issues will be partial and short-lived. In his recent speech before the US Congress, Macron called for a “new breed of multilateralism … effective, accountable and results-oriented,” a multilateralism that “will allow our cultures and identities to be respected, to be protected, and to flourish freely together.” To that end, the OECD will focus this week not just on defending the principle of international cooperation, but also on discussions about what must be improved. Finding solutions requires that we listen to everyone, particularly to those who have lost trust in governments and institutions. Multilateralism must evolve with the explicit purpose of serving all those who long for better lives. In a divided world, we all lose. But by combining our knowledge, experiences, and resources, and by recommitting to a responsible, effective, and inclusive multilateral system, we can reclaim a brighter and more prosperous future for everyone.